Ouch! You’ve been stung by a bee. 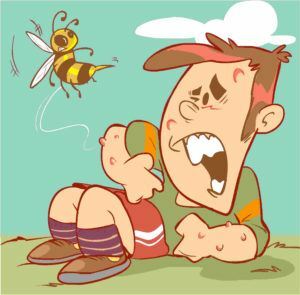 If you’re allergic to bees, a bee sting reaction might be immediate, or there may be a delayed reaction. People who are highly allergic to bees will need to seek medical treatment immediately. We’re going to discuss how to treat bee stings, and what you can expect to happen when you’re stung. What Does a Bee Sting Feel Like? The first question people ask is: “what does a bee sting look like?” Pictures will help you distinguish a bee sting from an ant bite or another insect bite or sting. And everyone’s reaction is a little different. You’ll know when a bee is buzzing on by, and this is often a clue that the bee stung you. Keep in mind that not all bees die after stinging a person. There’s a chance that the bee stung you and flew off. 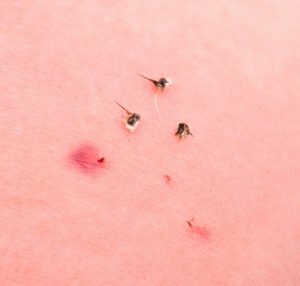 You may notice a stinger stuck in your skin, but there’s also the dreaded “bee sting, no stinger” occurrence. The bee’s stinger may not come off in the skin, so this is nothing to worry about. Honeybees are the only bees that have a stinger that gets stuck. The stinger of the honeybee has a small hook on it, and when they go to fly away, the stinger will get torn out, causing the honeybee to die shortly afterward. Honey Bee Sting: A short, intense burning sensation. Bumble Bee Sting: The bumble bee isn’t aggressive, and they need to be provoked to attack. These stings burn, too, and the stinger remains intact, which allows multiple stings to occur. Only worker bees and the queen bee sting. Carpenter Bee Sting: Female carpenter bees have a stinger (males don’t), and they only attack when provoked. Sweat Bee Sting: A very slight burning sensation, almost like a tiny spark. Bee stings produce a burning sensation, and multiple stings can produce more intense burning sensations or pain. The ground bee sting feels the same. 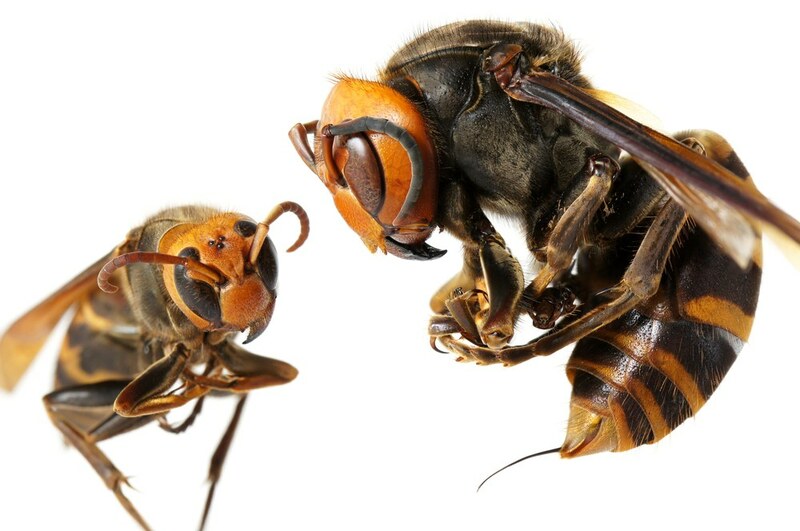 Wasps have less of an “injection” when a person is stung, and this means less toxin is injected into the body. The initial sting doesn’t hurt as much as a honeybee, but the wasp can sting numerous times, so the pain can be more intense. The paper wasp, a different species of wasps, causes very intense pain, and feels like acid on the skin, according to some reports. Bee sting deaths can and do occur. In the United States, the CDC estimates that 100 people die per year from bee stings. So, to put this into perspective, this is 100 people out of over 300+ million. The tricky thing is that when a person dies, it’s often misdiagnosed as a heart attack. 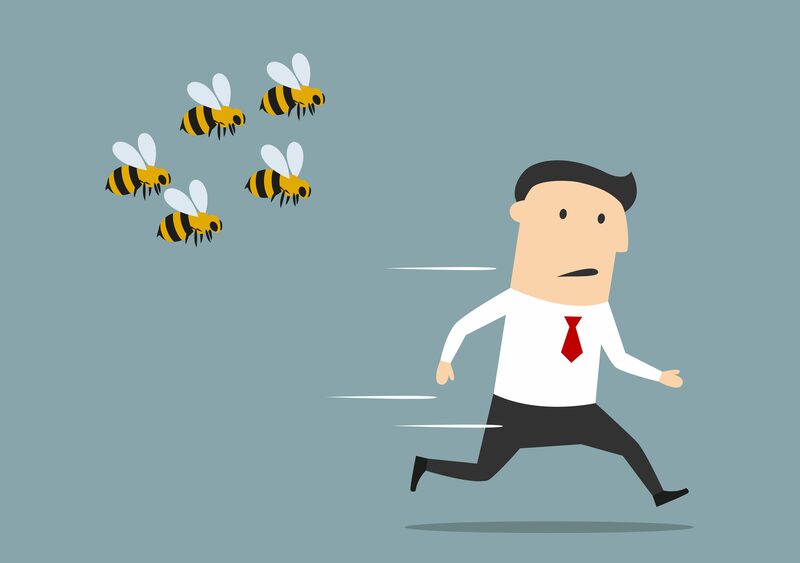 If a person is allergic to bee stings, there is a much higher risk of death. A person who isn’t allergic to bees has a very minimal risk of death. How Many Bee Stings Can Kill You? The average person can withstand 10 bee stings per pound of bodyweight. When considering this level of tolerance, the average 100 pound person could withstand 1,000 bee stings. Children and infants can even withstand dozens of stings without death. So, what do you need to worry about when you get stung by a bee? Most of these safety concerns deal with an allergic reaction to a bee sting. If you’re concerned that you’re allergic to a bee sting, you’ll want to consult with your doctor to find out how to treat yellow jacket bee stings (or the bee type that stung you). Are Bee Stings Good for You? This is up for debate. A treatment called apitherapy was used for thousands of years to fight scarring and inflammation, and this practice has become popular in recent years. Actress Gwyneth Paltrow undergoes this same therapy. So, if you hear someone talk about a bee sting for arthritis, there may be some truth behind the concept. You should know that this treatment is controversial. Doctors don’t agree that bee stings, used as a medical treatment, are good for a patient. Life-threatening allergies are the biggest concern, and people are stung as many as 80 times in one apitherapy session. There are studies that show bee stings can be used as a form of vaccination for bee stings in the future. Recent studies demonstrate that the body has a less of a reaction when bee stings are used to reduce the risk of an allergic reaction. This is not a method that should be experimented with without the assistance of a medical doctor in a safe environment. Apitherapy also includes the usage of bee-related products. Products that are derived from bees are used in the traditional form of therapy. Bee balms, waxes and honey are among the products used in apitherapy. Now that you know what a bee sting feels and what concerns exist, it’s important to know how long a bee string lasts. The duration of the bee sting will depend on the severity of the sting. There are three reaction levels caused by a sting. And each level has its own duration, too. Mild – A mild reaction is no cause for concern, and this will be a small, red welt at the site of the sting. Mild swelling may occur, and an instant, sharp pain happens when the stinger enters the body. Mild stings go away in a few hours. Moderate – A moderate reaction lasts longer, and the instant pain is accompanied by severe redness and swelling that worsens over a period of 2 – 3 days. Moderate reactions will dissipate in 5 – 10 days. Severe – The severe allergic reaction is always a cause for concern. There is no timetable for how long these stings may last, and if medical treatment isn’t sought, the person may die. What’s worrisome about allergic reactions is that they get worse the next time a person is stung. Statistics find that a person with a severe allergic reaction is 30% – 60% more likely to go into anaphylaxis the next time they’re stung. Allergy shots and immunotherapy may help alleviate these risks. Tongue Swelling: A person that has their tongue swell up may have difficulty breathing, which can lead to suffocation. Allergic Reaction: If a severe allergic reaction occurs, there is still a chance that you’ll be able to breathe and everything will be fine. The issue is that 30% – 60% of people will suffer from anaphylaxis on a subsequent sting, and this causes a higher risk of death. Fainting, Slow Heartbeat: It’s not uncommon for a person with severe allergies to faint, or have their heartbeat slow after a bee sting. Medical attention is required at this point. Bee stings are normally not a cause for concern, and no medical treatment is needed in most cases. In the event that the symptoms are not mild, a trip to the doctor or emergency room (as needed) is recommended. If infection occurs, this is also a cause for concern that should be treated by a trained doctor. Serum sickness from a bee sting is also possible. This is a condition that happens days or weeks after a sting. What happens is that generalized inflammation presents, and the inflammation occurs in a person’s organs. Clotting abnormalities can occur, too. If you feel ill or something doesn’t seem right after a previous bee sting, consult with a medical professional immediately. Serum sickness is a serious issue, and this is a delayed reaction to the bee sting. 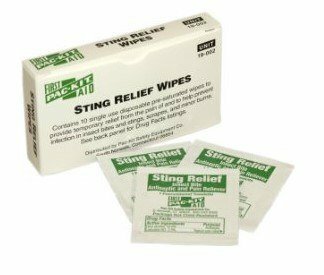 A bee sting blister, pain or redness can be treated with a commercial bee sting product. Do not rely on these products if you have an allergic reaction. But if you have pain or other symptoms caused by a bee, wasp or hornet sting, you’ll know how to treat the sting effectively with the right product on hand. The best part is that the anesthetic is not greasy or staining, so if you get it on your clothes, it’s not an issue. This product works on bee stings, but it can also work on wasp stings, mosquito bites and bites from other insects, too. 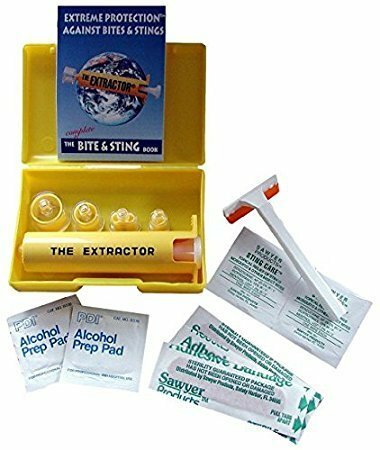 If you’re working on a bee sting kit or you have a swollen foot from a bee sting, these are the swabs you’ll want to help you find relief. Click here to purchase Sting-Kill disposable swabs today. Pac-Kits are another great item, and these kits come in a large pack of ten. If you want wipes that you can keep on hand in your kit or to give to someone else, this is a great addition because it’s so affordable. These wipes are made of cotton fabric and come pre-saturated. These wipes ease the pain and work best with a combination of natural treatments above. If you have kids, these are a must-have. Click here to learn more about the Pac-Kit by First Aid. All it takes is one application, and the pain and itching subsides. 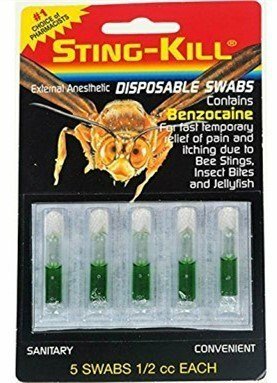 The stinger needs to be removed before application, and pain relief is nearly instant. This is a great product to keep in a travel bag or backpack when hiking, and it can even be kept in the car and won’t degrade. While the itching and pain of an allergic reaction is eliminated, this is not a product like an EpiPen, which stops a person from going into anaphylactic shock. Click here to buy Stop the Sting today. 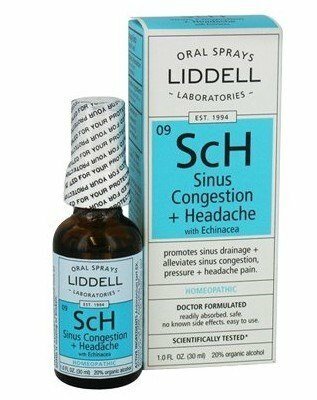 An oral spray, this product can be applied topically to the area of a bite or sting for best results. What’s great is that this is a homeopathic remedy that doesn’t contain those harmful ingredients found in many other bee sting products. Click here to homeopathically treat your bee sting with Liddell. to remove poison or venom from within the skin. This product even helps to remove snake poisons. As long as the sting isn’t in a muscle area, the vacuum will remove the venom effectively. This is not a substitute for the EpiPen, but it can help to stop the venom from entering further into the body. This will remove the fluids before it enters into the circulatory system. But you need to act fast and use this product as quickly as possible after the sting. 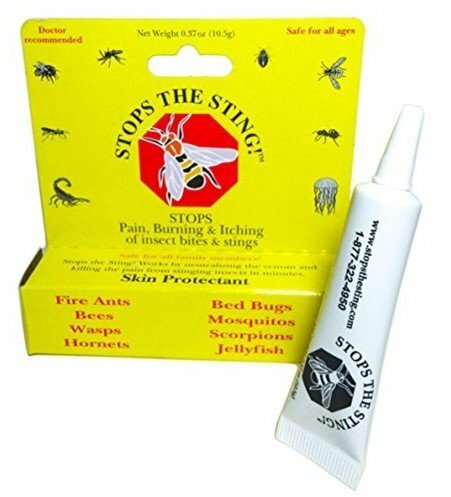 This is a great addition to any bee sting kit, and it’s a perfect way to treat bee stings. The powerful suction power of the syringe will remove the venom to reduce swelling, redness and the pesky itchiness that comes after. Click here to learn more about the B4 extractor pump kit. In most cases, you don’t need to rush to a doctor to seek treatment. Natural remedies and kits exist that will more than suffice. The first step in the process is bee sting removal. Don’t know how to get a bee stinger out? It’s simple. You can use a pair of tweezers to remove the stinger, too. Tweezers require you to be very gentle during the removal process. The trick is not to squeeze on the end of the stinger. If you squeeze on the stinger’s end, you’ll cause more of the venom to enter the body – not a fun experience. Home remedies for bee strings are straightforward. Again, if you have a severe reaction, seek medical attention immediately. Otherwise, a few, easy home remedies will be able to help you get rid of the bee sting swelling and itchiness. Apply Ice to the Area: If you have a bee sting on the face, eyelid or neck, you’ll need to know how to reduce swelling. I’ve seen people with a bee sting on the head that look like they’ve been in a boxing match. The easy remedy to reduce the swelling is to apply ice on the area for 20 minutes. 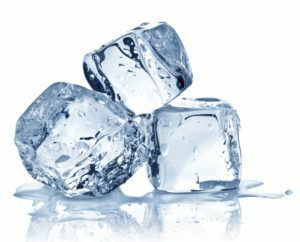 Ice slows the blood flow to the area and reduces swelling in the process. Essential Oil for A Bee Sting: If you’re a fan of essential oils, you’ll want to know what to put on a bee sting. The answer is simple: lavender essential oil. Simply put 1 – 2 drops of the oil on the site of the bee sting. What this essential oil does is neutralize the venom in the sting to stop the negative side effects. Honey: An ironic trick for the symptoms of a bee sting is to apply honey to the area. Honey is a great remedy for stings in general, and a small dab covered in gauze and left on the sting for 30+ minutes will help speed up recovery. Of course, if you’re allergic to honey, you’ll want to use one of the other remedies mentioned. Vinegar and Baking Soda: What does a bee sting and baking soda have in common? Nothing. But baking soda and a little vinegar can be made into a paste that is applied on the wound. Simply add baking soda into a bowl, add small amounts of vinegar at a time, and mix until you have a paste. This paste must be applied to the skin and allowed to sit for 30 minutes on the sting’s site to neutralize the venom. Toothpaste: Just like the previous tip, a little bit of toothpaste applied to the site of the sting can help to neutralize the venom. You’ll want to avoid any toothpaste with whitening power. Simply apply to the skin and allow it to sit for 30 – 60 minutes before washing it off. Mud: A little mud can help alleviate the initial pain of a bee sting. Simply grab some dirt, add water and mix until the mud is thick enough to be applied to the skin. Leave the mud on for a half hour and wash it off. Aloe Vera: A little bit of aloe vera is perfect for a bee sting. Simply rub the aloe onto the sting, and it will work to soothe the pain and alleviate the inflammation. Garlic: It sounds funny, but applying crushed garlic to the area helps. You’ll want to squeeze the garlic on the bite’s area to release the juices needed to help neutralize the venom. A bee sting is itchy, but you don’t want to itch it! If you itch the bite, you risk causing an infection. Bee sting venom causes pain, but an infected bee sting causes prolonged issues if untreated. If the site of the sting swells greatly, the swelling spreads to other areas or you notice discharge from the site, you may have an infection that requires immediate medical treatment. Bee sting first aid can be administered through a bee sting kit. Every household should have a kit available. A bee sting on the tongue can cause even a person without severe allergies to suffer from difficulty breathing. There is no definite bee sting reaction time either. Bee sting effects can occur in seconds or minutes. Some people will go to bed and wake up with a face the size of a watermelon after a bee sting. A baby bee sting or a toddler bee sting can be equally as dangerous because the infant won’t be able to tell you what he or she is experiencing. The bee sting pain will cause the child to cry. A kit can help you save your life or the life of someone else. There’s also the comfort in knowing that you’re prepared if the worst happens. You’ll also want to keep any emergency numbers in your kit, too. These emergency numbers will allow you to contact your medical doctor or an ambulance as needed. Note: Clean the area with warm water and soap. This is how to treat bee, hornet and wasp stings the right way. A bee sting on the finger can be life-threatening. Allergic reactions caused by a bee sting will occur whether or not you have a bee sting on your foot or on your lip. The venom found in the bee’s stinger is the main culprit in an allergic reaction, and this is the main concern of a bee sting. Even the most painful bee sting isn’t a concern unless a person has an allergic reaction. Symptoms of an allergic reaction will permeate throughout the body. This is when being concerned can save a life. For most people, a bee sting is local and will cause swelling and redness in one area, but it won’t spread to other areas of the body that are indicative of an allergic reaction. Of course, if an infection occurs, seek medical attention to get treatment for the infection. If a person is highly allergic to bees, immediate medical attention is advised. An EpiPen can be administered to combat anaphylactic shock. Bee stings can ruin an outdoor adventure. The venom found in a bee is minimal, but an allergic reaction can turn a routine bee sting into deadly emergency. Even an infant bee sting is often not a cause for concern unless it hinders breathing or an allergic reaction presents. Proper preparation, and even a bee sting kit, can be made to prevent a bee sting from being fatal in a person with a severe allergic reaction. If you treat a bee sting properly, it can be another funny story to reminisce about when you’re older.